The development consists of 3 and 4 bedroom house and there will be a variety of house types available. Careful consideration has been given to the layout of Castlechurch, which is a small scheme and the houses have been strategically positioned to enjoy the best aspect, privacy and views over the generous landscaped green areas. The design consideration continues internally with extra-height windows cleverly placed to maximise sunlight, and an exceptionally high standard of features offered as standard. Front facades will be finished in traditional high quality brick and render, which is ideal for the 2 storey design – an increasingly rare house type to find in an A-rated New Home. A particularly attractive feature of this Newcastle location, is its position opposite the Motte and Bailey which served the historical Norman Castle (thought to have given Newcastle its name), the remains of which can still be seen today. This unique village setting also belies its convenience with journey times to Dublin city centre often less than 40 minutes by car. Castlechurch is just a short commute to the Citywest Campus Luas Red Line, approx. 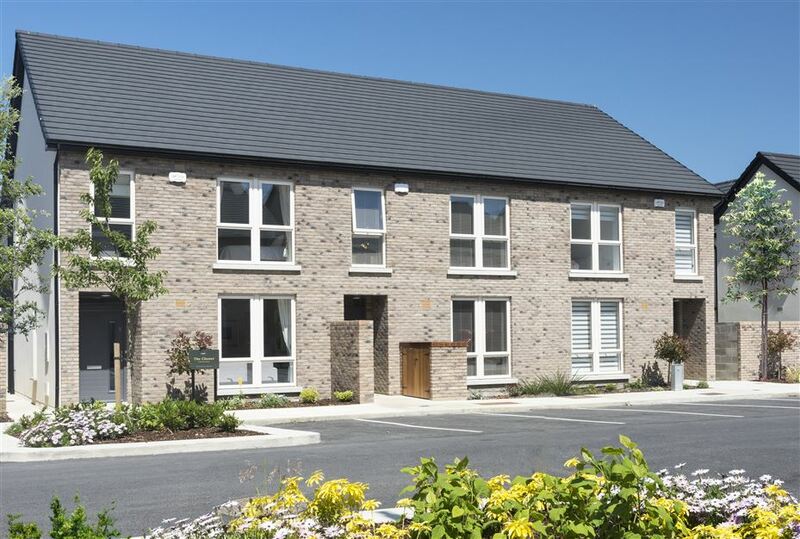 15 mins from the M50 and easily accessible to the commuter train at Adamstown/Hazelhatch train stations. Local amenities include good schools and childcare, all types of sporting clubs – from G.A.A. to rugby, golf and aviation and plentiful retail options and shopping centres. The development is approved for the Help to Buy Scheme.